The Sierra Climate Adaptation and Mitigation Partnership (Sierra CAMP) is a cross-sector partnership working to promote climate adaptation and mitigation strategies across the expansive Sierra Nevada region of California. 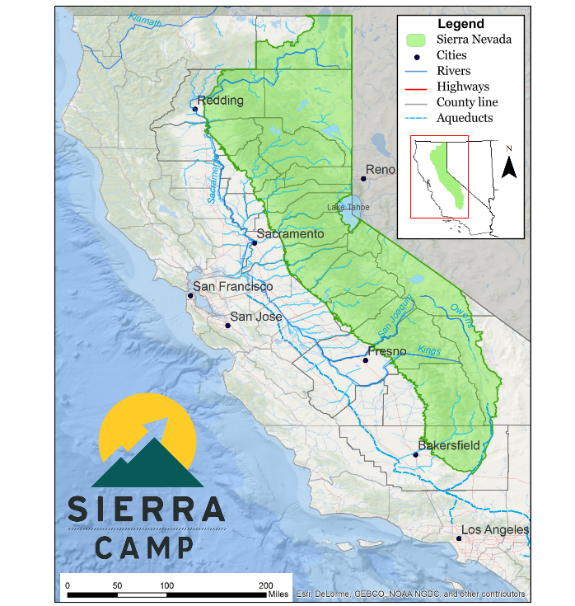 Sierra CAMP, one of seven regional climate collaboratives in the state and a member of the Alliance of Regional Collaboratives for Climate Adaptation (ARCCA), is a program of Sierra Business Council. Sierra CAMP convenes a diverse group of public, private, and nonprofit entities including the Town of Truckee, U.S. Forest Service Region V, Sierra Nevada Conservancy, California Ski Industry Association, California Forestry Association, Sierra Cascade Land Trust Council, and the Sierra Institute for Community and Environment. Sierra CAMP promotes and facilitates regional climate adaptation and mitigation strategies, serves as a climate action capacity-building hub for Sierra communities, and fosters urban-rural connections to build statewide investment in the region’s communities and natural resources. Sierra CAMP has primarily used the Climate Ready Communities program to expand on its objective to “Build stakeholder capacity by providing climate action resources, education, and technical support.” Sierra CAMP plays a key role with the many small, rural and low capacity communities that are located within the Sierra region by providing policy information, technical support, and resources that would often otherwise not be available to these communities. Sierra CAMP also seeks to provide alignment and coordination across the region. One example is regional convening: in December 2018, Sierra CAMP convened over 90 stakeholders to discuss the climate impact findings of California’s 4th Climate Assessment and Sierra Nevada Regional Report. Supporting development of climate adaptation strategies in the Town of Mammoth Lakes General Plan guidelines update. Sierra Business Council pioneers and demonstrates innovative approaches and solutions to increase community vitality, economic prosperity, environmental quality, and social fairness in the Sierra Nevada. For more information, visit sierrabusiness.org and sbcsierracamp.org. Yes, I want to build resilience in my community! © 2017 Geos Institute. All rights reserved. 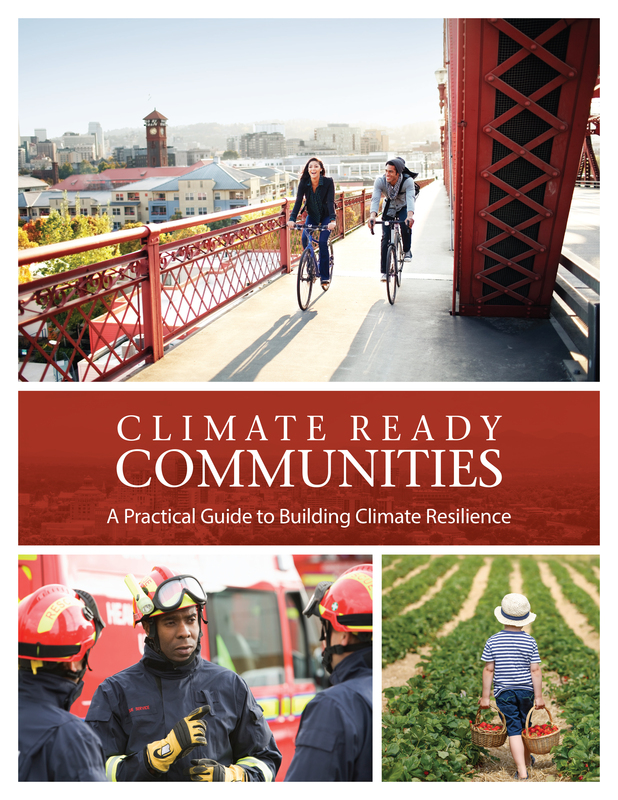 Climate Ready Communities is a program of Geos Institute. Please evaluate the Guidebook for the current task. Is this task easy for your community? Please evaluate the template(s) for the current task. Please evaluate the tutorial(s) for the current task. Any additional comments or feedback on the Guidebook, templates, or tutorials for the current task?